Another busy year draws to a close with promising commitments to carbon capture and storage (CCS) in the UK and encouraging developments worldwide. Thank you for your interest in SCCS and our work, and we look forward to working with you again in the New Year. From ministerial visits and international delegations to research publications and knowledge exchange, catch up on our 2018 news on the SCCS website. 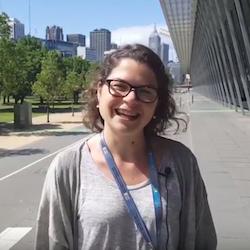 We relaunched our YouTube channel with some great reporting of our researchers' participation at the GHGT-14 conference in Melbourne. Gareth Johnston, SCCS international research associate, was our roving reporter. Keep an eye out for more video uploads in the year ahead. 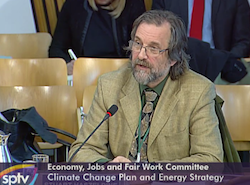 SCCS Director, Stuart Haszeldine, gave evidence at a number of committee hearings at both the UK and Scottish parliaments, and the SCCS Team produced a range of formal submissions. Check out our working papers for more details. Following a highly successful first run, the University of Edinburgh team behind the world's first free online course covering CCS and climate change have begun a second run - timed for the second week of the COP24 climate talks in Poland. 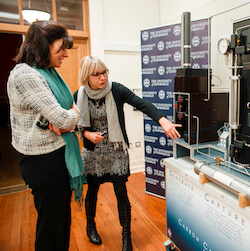 If you’re a CCS researcher based at another Scottish university, your work could benefit from being part of the SCCS partnership. Find out more by emailing info@sccs.org.uk, or call us on 0131 651 4647. Copyright © 2019 Scottish Carbon Capture & Storage, All rights reserved.